In a private and highly residential area, lovely well-maintained fisherman house. - on the second floor: a large master bedroom with wardrobes and a mezzanine, a bathroom and a large solarium with a lovely view on the canal. On the canal side, a nice terrace to have a drink while admiring the sunset. A 12 m x 4,20 m mooring. A numbered parking space face to the house. 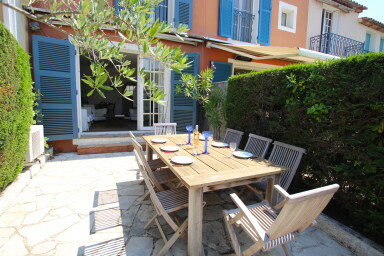 A real haven of peace in the Gulf of Saint Tropez !